The term best health insurance means different things to a lot of people. For a single mom with kids, the best health insurance plan might be one with low premiums, copays for doctor visits, lab testing and an accident benefit for when the little ones need stitches. A mature couple in their 50′s might think that an HSA eligible plan that allows them to write off any medical expenses on their taxes is the BEST HEALTH plan for them. Of course, they are both correct. Finding the best health insurance rates online is not meant to be a “cookie cutter” solution, work with a knowledgeable agent who represents all your options and harness the power of the internet to research the plans available so you have the peace of mind that you have done your due diligence. 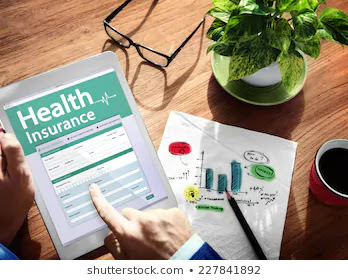 If you want the best individual health insurance plan for you’re situation, you need to learn the basics first just like any other product you run comparisons on. A copay is a set out of pocket expense, such as $35 for an office visit, or $10 for a generic prescription. A health insurance deductible works the same as an auto insurance deductible, it’s the amount you would come out of pocket before the insurer pays anything. A great benefit of plans with a PPO network is that you a discount of 30-60% until your deductible is met because of Network Repricing. Coinsurance is the percentage of medical expenses the insurance carrier will split with you after your deductible has been met. Such as 90/10-80/20-70/30. All reputable health insurance plans have a Coinsurance limit, meaning they can’t force you to pay 20% of a million dollar bill, the point of a low cost health insurance plan is to cover the expenses we can’t handle on our own. If you take your deductible plus your coinsurance limit, you have your stop loss or max out of pocket before the health insurance carrier will cover 100% of your medical bills. Keep in mind on most cheap health insurance plans the copays for doctor visits and medications won’t count towards your max limit. Most plans that you look at on the individual market utiliaze a Preferred Provider Organization. Simply with this type of plan, you can see any doctor in or out of network. However, you will only have access to those low copayments if you utilize an in network provider, go out of network and you are responsible for 100% of the bill until your out of network deductible is met. Many consumers love PPO plans because it put’s them in charge of their own health care decisions, no gatekeepers telling you what to do or which doctor to see. Most HMO plans are either group health insurance plans or Medicare products, very few health insurance companies offer HMO plans on the individual and family health insurance market. The only expection to this rule would be Kaiser Permnante in state like Georgia or California, and some small regional carriers, also some carriers offer a limited selection of HMO plans in California from carriers like HealthNet, and the Blue Cross and Blue Shield carriers. With an HMO plan , most of the services you will use are covered by a small copayment for things like office visits, medications, lab testing and ER visits and hospital stays with some companies. What you give up in exchange for low out of pocket costs when using your HMO insurance plan is freedom of choice and higher premiums. A Point of Service plan is essentially a mix of a PPO and HMO plan. They do differ between carriers and are not really popular on the private medical insurance market. How does Individual Health Insurance Underwriting Work? The rates you see online are based on your zip code, age and tobacco status–that’s it. These are the best possible health insurance rates you could qualify for. If your healthy, don’t take any meds and haven’t seen a doctor for any ongoing condition, your policy will probably be issued at the right you applied for. Sometimes if you haven’t had health insurance coverage in the last 63 days, carriers like UnitedHealthOne and HumanaOne, will bump your rate up 10-20% because the rate they orignially quoted you online was the “Preferred or Standard” rate and with those carriers you must of had prior coverage to get that rating class. You may get a bump in rate from the best health insurance price you thought you qualified for, and the carrier may exclude coverage for a condiiton or medication if they can’t cover it at the premium you qualify for. For example, if your premium is $140 a month and you take $75 worth of meds for anxiety, expect them to either not cover the drug or the condition, however you would still have insurance for anything else, after all a gallbladder surgery could run $20-40k. FYI, an exclusionary rider is different from a pre-existing condition waiting period. Some carriers have a waiting period of six to twelve months before they will cover pre-existing conditions if you have do not have creditable coverage. Some carriers like Aetna, Cigna and Anthemn only do what is called a rate up. That means their underwriting requirements don’t allow for “riders” or excluding conditions from being covered. So what they do is raise your premiums 10-150% to cover the condition from day one, sometimes if your condition is expensive to treat you will be declined with some carriers who only do the “Rate Up” because they can’t do riders. Now that you know the basics of shopping for the best health insurance plan, call an independent agent and go over your options with someone who can lay it all out for you. When you look at the best private health insurance for the self employed you will eventually see that the HSA eligbile or High Deductible Health Plans really are the way to go. you can write off your medical expenses at the end of the year. Let’s take a look at a common scenario: Copay vs HSA plan. Anthem’s Clear Protection Plus 5000 vs Anthem Lumenos 4500 for a 41 year old male in Los Angeles, CA. Even though the plan for $189 is almost double the $104/mo plan, you must look at the big picture. The Lumenous plan only has a $4500 out of pocket total, you can write off the premiums and the 4500 on your taxes. If you met your dedutible on the cheaper plan, you would of lost any savings because of the high out of pocket max and the fact that the 7500 rx deductible doesn’t count towards the plan deductible. You will find that even the best dental insurance plan is usually not what you are looking for. Most consumers have been spoiled rotten by their group dental insurance plan, and now that their looking for the best dental plan on the individual market, options are coming up short. Almost all of the dental plans you will see online are discount cards, because dental insurance is really a losing proposition for most dental insurance carriers. A typical low cost dental insurance plan will cover one to two check up’s a year, might cover some cleanings and will have a 6 to 18 months waiting period before anything else is covered. Also real dental insurance programs have small deductibles such $50 per person and a max benefit of $1000. And the really expensive procedures, are only covered at a discount too. The reason even the best dental insurance plans are lacking is that most people use, really use their dental insurance plans. For any insurance product to work, there needs to be more people–significantly more people who don’t use the plan vs those who use it’s benefits. So , we have a situation where everyone uses their dental plans and the carriers have to respond by designing a dental insurance product that covers the basics and not much more because if they covered the same services as a group dental insurance plan the premiums would probably be $100+ a month for just an individual. With that being said on a nationwide basis the best dental insurance plan is the DHMO C550 from HumanaOne. You might live in a state like Colorado that has access to Delta Dental plans which are pretty good, but those are only available in a limited amount of markets.